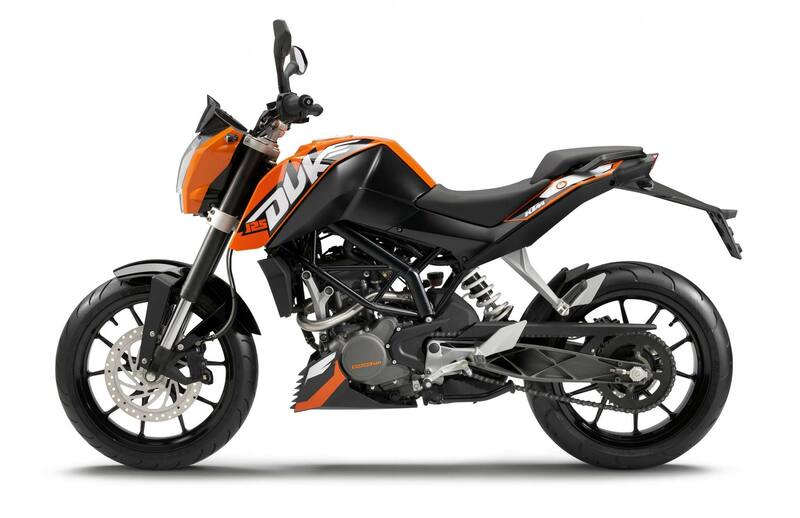 Finally officially debuted at Intermot, KTM took the wraps off its 2011 KTM 125 Duke, a single-cylinder street bike geared towards young riders. 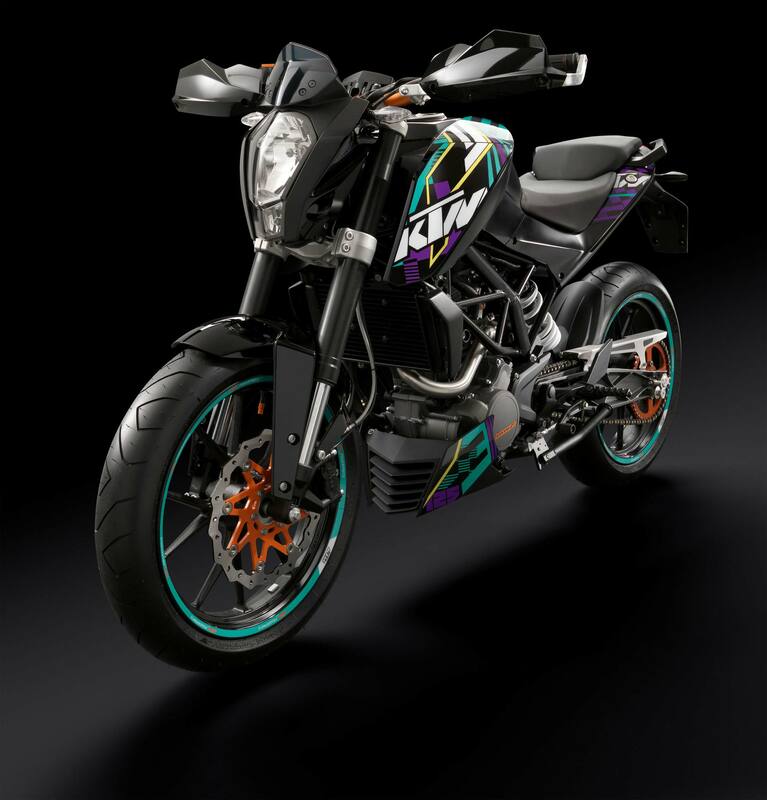 While KTM has always included off-road machines in its line-up that are aimed at getting younger riders to ride orange, the company until now has left a gapping hole in its on-road offering for the same demographic. 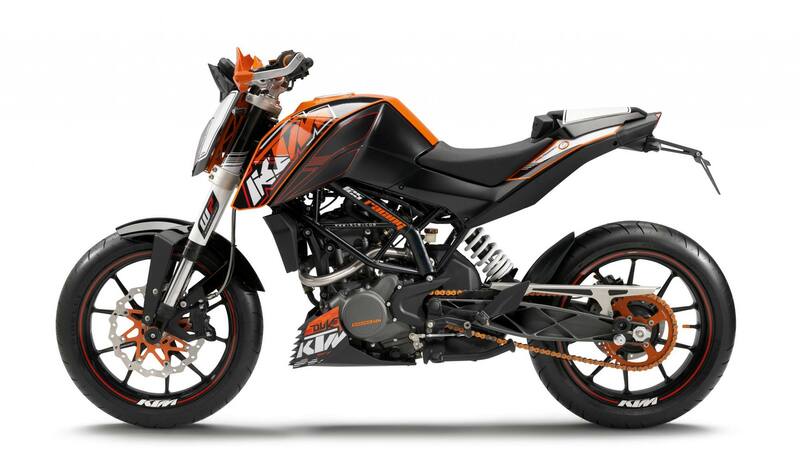 With Bajaj taking a 35% stake in KTM, the Indian company has not only given the Austrian company the capital it needed to expand its line, but is also rumored to be the major driving force behind the 2011 KTM 125 Duke. 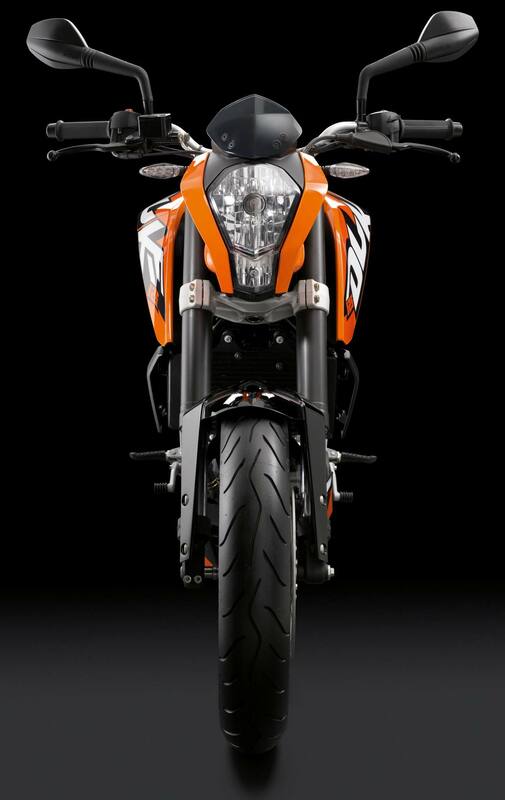 The 124.7cc single-cylinder is an all-new power plant for KTM. 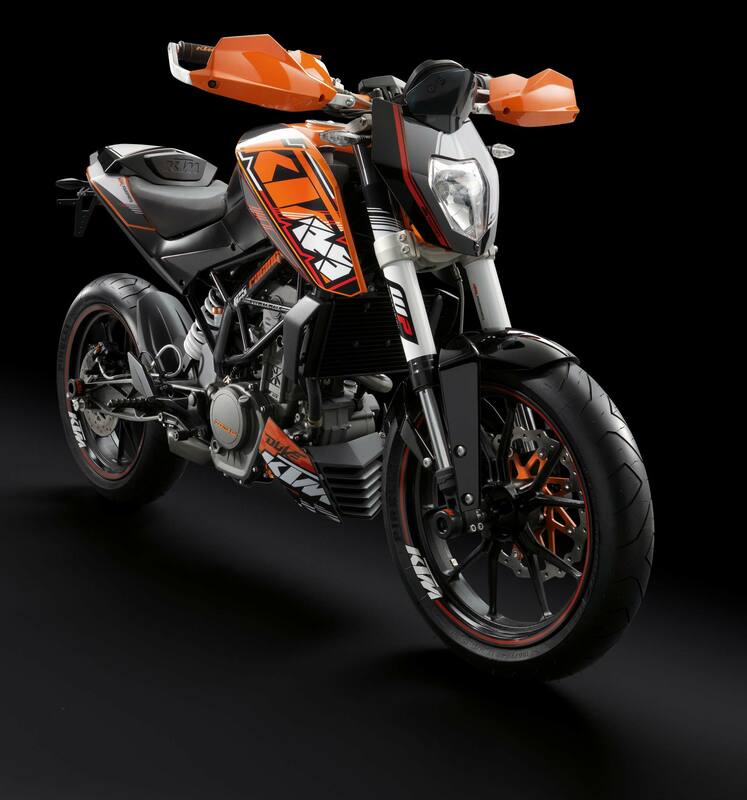 Four-strokes and four-valves, the 2011 KTM 125 Duke also has a dual-overhead cam, balancer shaft, liquid cooling, and fuel injection. 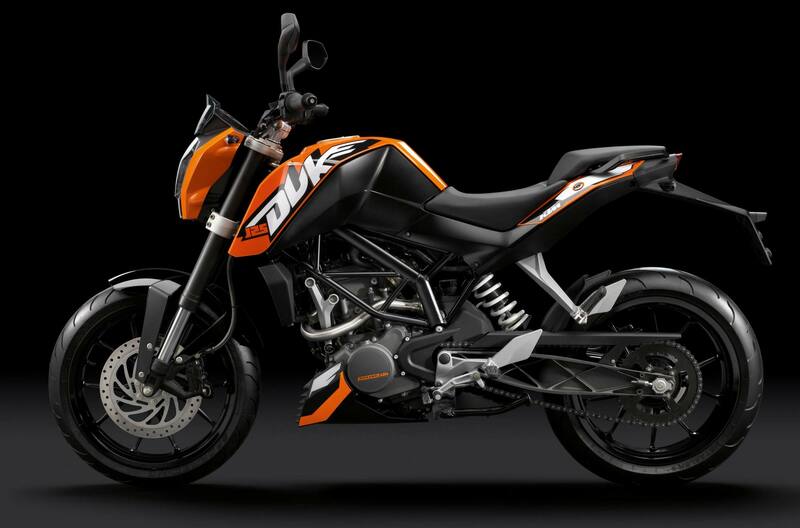 Built with the tiered-European licensing structure in-mind, the 125 Duke makes only 15hp, and can be ridden by youths in the EU. 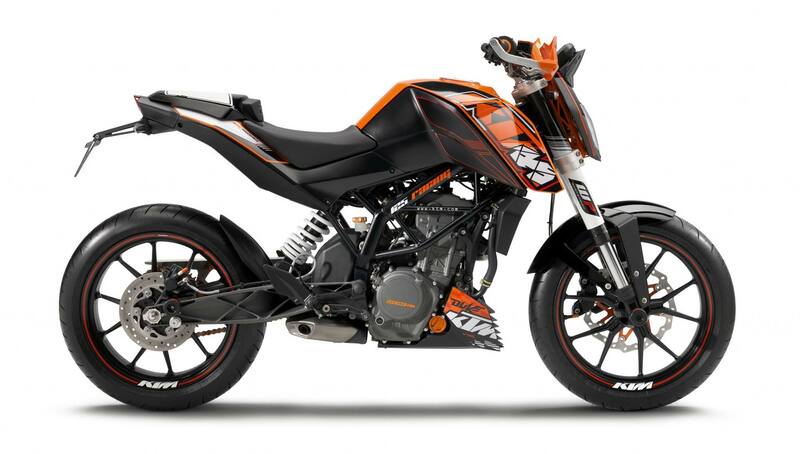 With production taking place in Bajaj’s Chakan plant, the Indian company is being credited behind the scenes for developing the 2011 KTM 125 Duke. 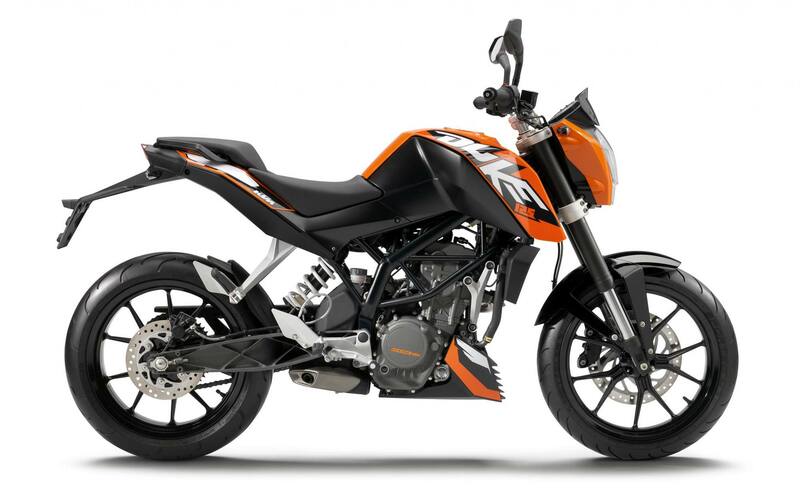 Beyond being sold to European youngsters, the KTM 125 Duke will be sold through Bajaj’s presense in developing markets like Latin America, Africa, ?n? Southeast Asia. 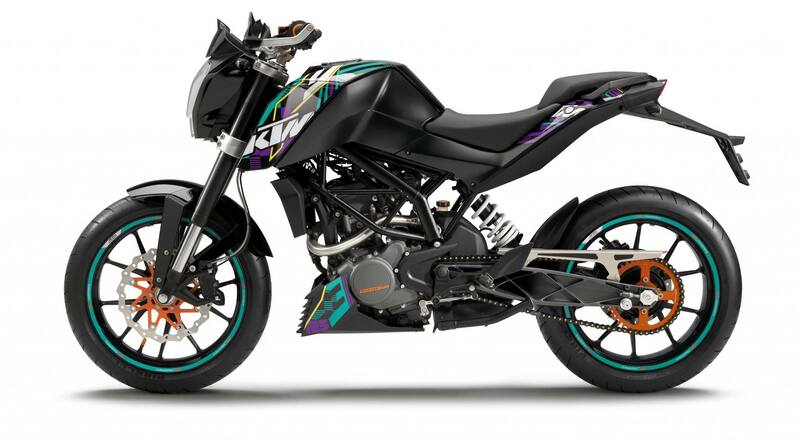 There’s rumors of a 250cc version in the works, which we think would be ideal for the American market. 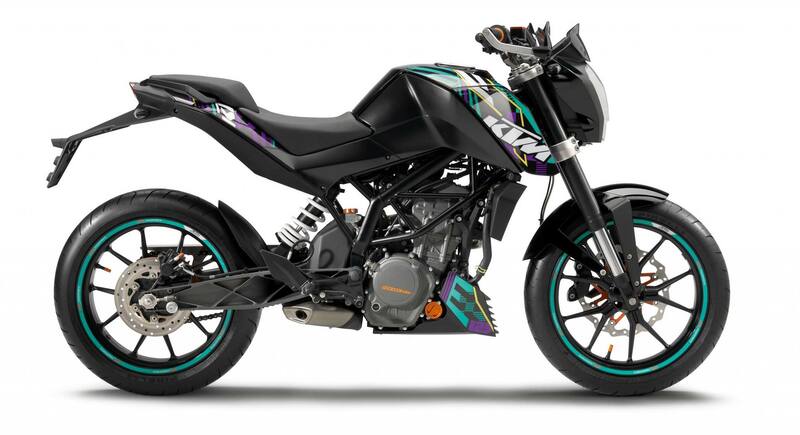 True to its two concept form which we saw at EICMA last year, the 2011 KTM 125 Duke comes in the orange “race” version, or the 1980’s Huffy Bike inspired balck “stunt” version trimmed in aquamarine and purple graphics. 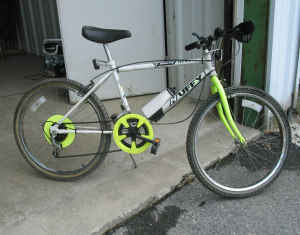 You know how riders love the 1980’s, a decade they weren’t around for.